There is a line in online marketing that “content is king.” There’s no arguing that content is the most essential piece to building an online marketing strategy. The second most important piece is creating a great promotion strategy that ensures your content reaches the largest audience possible. What you want is to find ways to take your content and promote it so that it reaches the maximum number of people possible, creates the most clicks, and builds fans that come back time and time again. In this article we are going to discuss social media marketing tips and strategies to help your content go viral. They’ll promote you to their LARGE audiences (more clicks, likes, shares, etc.). They will help teach you the best methods for promotion. You will gain a few fans from their following. They can connect you to other influencers. Ultimately you may become an influencer yourself. One of the worst mistakes you can make when approaching a mentor or social media influencer is to start by “taking.” Believe me when I say that these guys are bombarded with people asking them for help! If you approach someone and start taking all of their time with nothing to give, what value is there in the relationship for them? You have to understand that these social media influencers are constantly being asked for tips! Everyone in the world wants to know their secrets and you have to earn their respect/trust. This starts with giving back. Be so good at helping them that they can’t afford to not help you. Some of the first major influencers I connected with were Bill Gassett and Andrew Fortune. I am now connected to around 50 major influencers in real estate who all help one another promote our content. As a result my content receives more likes, shares, comments and eyeballs. A study done by SearchMetrics shows the additional benefits of social media signals and how powerful they are for Google’s algorithm. One of the best people to follow is Bill Gassett, a top Metrowest Massachusetts real estate agent. Bill has nearly 35,000 followers on Google+. Bill is a social media pro who has built an audience that is one of, if not the largest, I’ve seen in real estate. Andrew Fortune is a top Colorado Springs real estate agent, who has helped me understand the importance of creating great content and promoting it socially. Along with creating great content, understanding the technical and behavioral aspects of SEO is something Andrew has been helping me with since I started my online marketing strategy. Once you've started building relationships, you’ll soon find other social media influencers to connect with and learn from. Aside from building social media relationships with influencers you should absolutely join large social media communities. For instance, if you can find social media groups that are relevant to your target audience you should join them and share your content there. Search Facebook, Google+, Pinterest, LinkedIn, and more, for these large real estate groups or simply connect with influencers who are most likely already in the know. Once I started building relationships inside these large social media communities, I’ve had Facebook posts that received upwards of 500+ shares and likes, and even a Flipboard post that sent 4,000 users to my website in one day. This is content that never would have been seen had a promotional strategy not been in place. Instead it went viral, which helps increase my exposure. 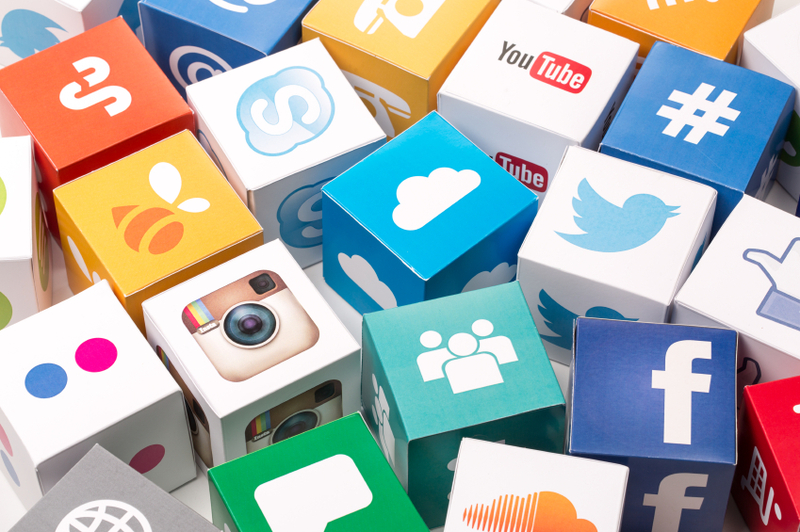 Master the Social Media Platform you Like Best! Whether you like Facebook, Pinterest, LinkedIn, Twitter, Instagram, Google+, or any of the other social media platforms, find the ones you like best and make them your focus. If your focus is SEO than you probably want to stick to the social media platforms that have the most benefits for SEO. Then again, different industries and verticals have different audiences attracted to different social media networks. For instance, Facebook is now an older audience, while Instagram is a much younger one. This will play into your social media marketing strategy depending on who you’re trying to appeal to. A lot of times real estate businesses will focus on the number of followers they have and lose sight of what actually matters which is…how many fans do they have? Followers and fans are two totally different types of social media followers. You’ll have a ton of people who follow you and they will never engage with any of your posts. Then, you’ll have your fans who will proudly share, like and comment! Local fans are the most important types of social media followers you can have in real estate because these relationships can and will “do something.” You will be able to stay top of mind with these people and they will recommend you to their networks. Social Media is not about selling, it’s about acquiring a local fan base and staying top of mind. TWEET This is a common mistake a lot of people make with their social media marketing strategies. If you use social media as a platform to show off your real estate listings than you are “selling” vs. “providing value.” You should never be selling when using social media. Customer acquisition has no room for social media, and you’re likely to turn some of your followers off when you begin selling. Once you build a local fan base that trusts and supports you, you’ll never need to sell again because you’ll have local fans out there singing your praises to everyone they meet! Ryan Fitzgerald is the REALTOR®/Owner of Raleigh Realty. Their website is a great place to search homes for sale in the greater Raleigh, N.C. area! You bet, Kevin! Glad you enjoyed it my friend! Ryan, Thank you for the great information and the motivation! Great article. The part that talks about the giving instead of asking is great and that goes perfect for the audience you are trying to reach. It works best to give tips and good information than trying to sell. Very well written Ryan. Couldn’t have said it better. I am proud to be connected with you as you provide such great advice. Thank you for sharing. Great info. A great resource guide in a compact form! Just the reminder we need to focus on a particular social media target rather than being overwhelmed by the choices out there. And while Content is King, emphasis on the local market indicates that Context is Queen. It has help them bring in more prospects and sell more! Thanks Ryan. I’m diving into the online marketing scene for my real estate business and your name keeps popping up everywhere with great information. I’m learning a lot and will be following you!